If you also want to buy it, the cheapest place I found it was here on Amazon. The overall style of the book is very Westwood but also very Alice, I think it's a great combination and real thought has went into the dust cover and the inner front and back covers. 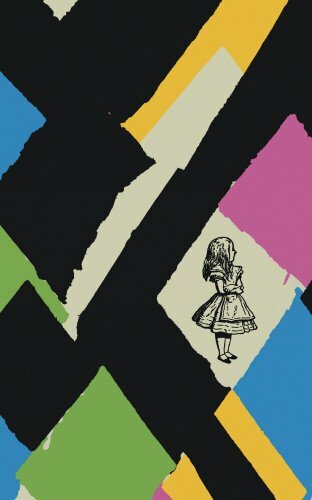 The only downside for me is that the outside of the book is a plain white with an embossed illustrated Alice, I would have liked a bit more pizzazz on that! For a full flick through of the style check out my video down below! The book contains the original illustrations and a fun introduction. The quality of the book is really good however not amazing, which is what you expect for the lower price point. The print size is clear and a good size and there is minimal ghosting from the other pages. This makes it easy and enjoyable to read and because of the lower price I'm not afraid to use it- throwing it in my handbag and reading on the go etc- which is ideal as ultimately this is a children's book and it should be accessible for children! Overall I really love this edition although it is a lot more low-key than a lot of other editions including the Barnes and Noble Leatherbound Edition (which I own). But I like it, it's fun, punky and whacky. Alice and Westwoord are the perfect collaboration and it's usable and enjoyable to read- it's such a good gift for adults and kids who love Alice! I also made a video hauling the book, if you want you can check out my YouTube channel here or watch the video down below!